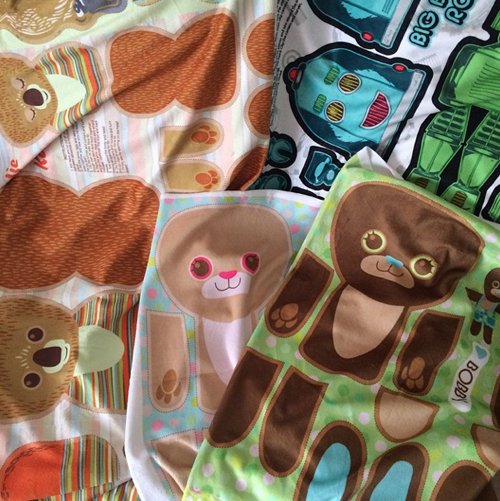 A few months ago I designed loads of cut and sew patterns to try on the new minky fabric available at Spoonflower. It is so soft and easy to sew on the machine with a normal needle, here is a look at what I have sewn up so far. 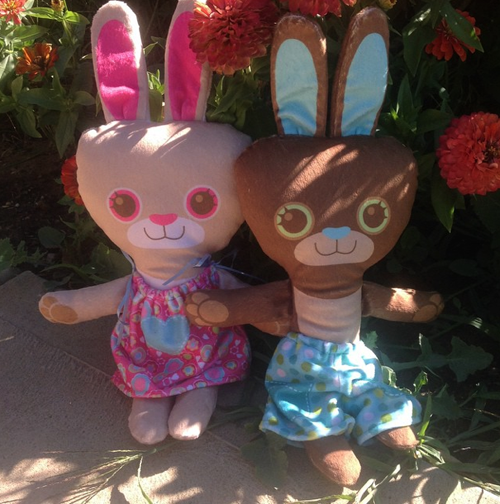 Bobby and Betsy Bunny are now available in my Spoonflower shop. Each fits on a fat quarter and if you purchase the minky (which is a wider fabric) you get the dress for Betsy or pants for Bobby included in the panel. 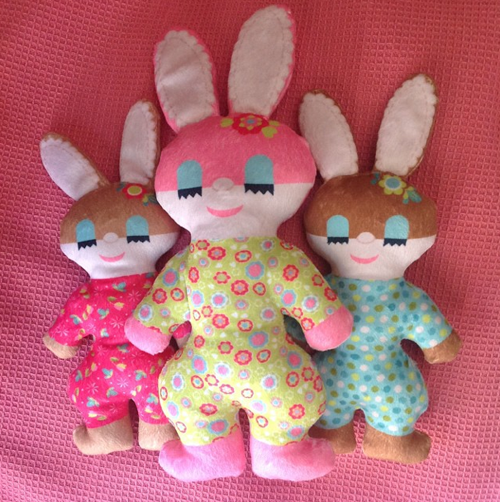 This set of three retro bunnies also fit on one fat quarter of minky. These will be available as soon as I write up the sewing instructions. 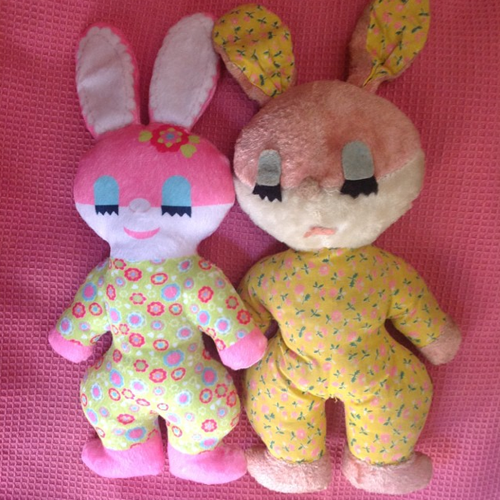 The retro style bunny is based on this toy I had as a baby. 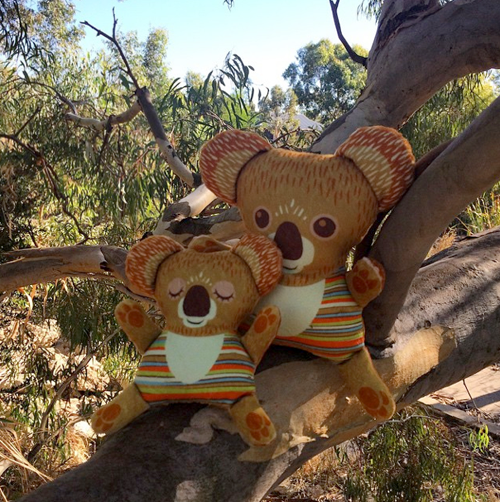 Also stitched up these two koalas made from the minky, there is also a third koala available on the fat quarter of minky. They are also for sale in my Spoonflower shop.